NIA CHARLESTOWN NEVIS (December 29, 2014) — Minister of Housing, Lands and Natural Resources on Nevis Hon. 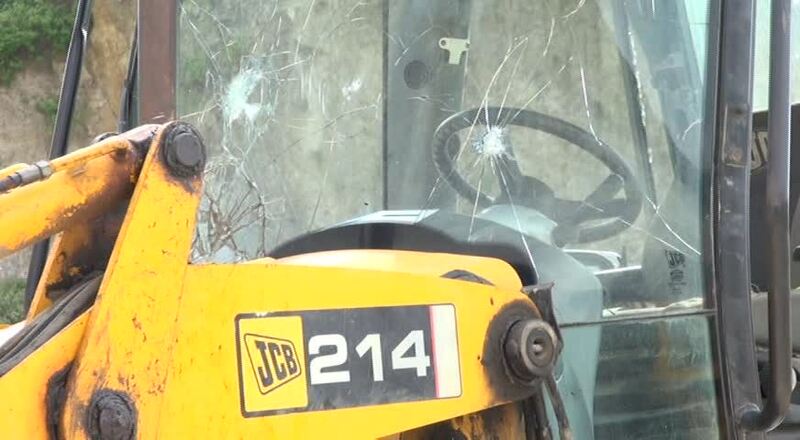 Alexis Jeffers, says vandalism of equipment owned and operated by the Nevis Housing and Land Development Corporation (NHLDC) at the New River Quarry would not deter the work undertaken there. Mr. Jeffers who is also the Chairman of the NHLDC, made the comment when he spoke to the Department of Information about the incident on December 29, 2014. 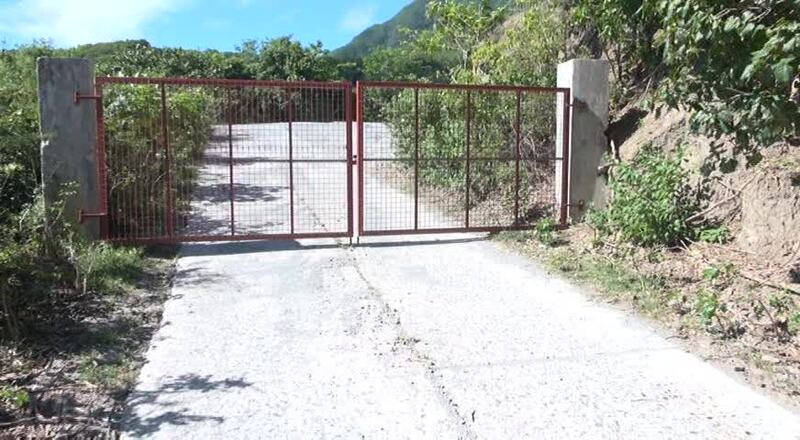 “It is indeed a major disappointment for us that persons would travel almost a mile off the island main road to come here to the Government Quarry to create this type of damage,” he said. 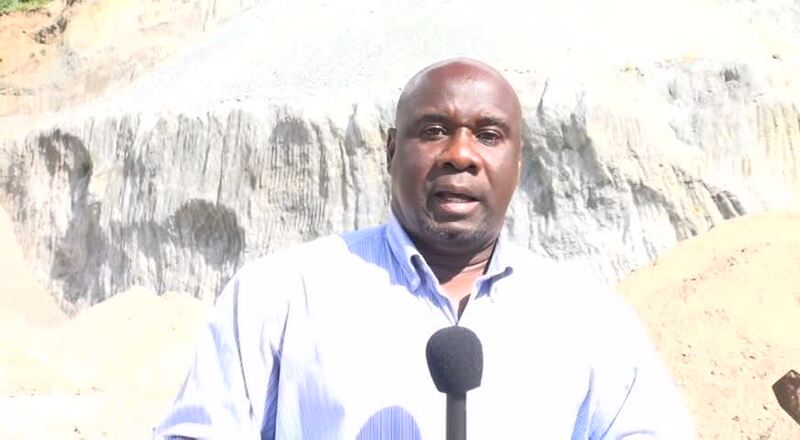 The Minister appealed to the public to partner with the Nevis Island Administration as it undertook to transform the quarry which up to one year ago was managed by a foreign entity. “There is tremendous potential here. 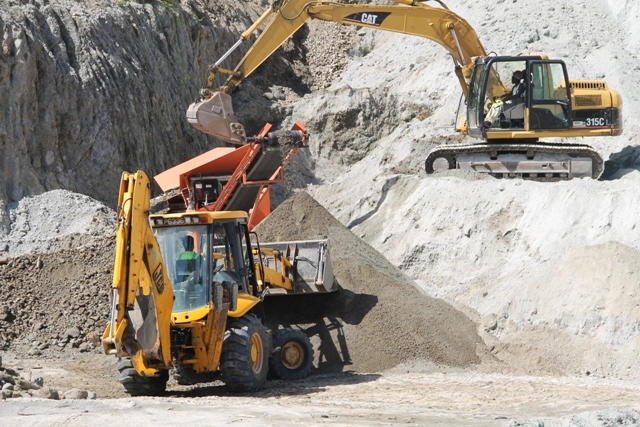 We are hoping to make the government and people of Nevis look good from what we are hoping to accomplish here at this quarry. “So I appeal to the general public to be our partners in this and not be our adversary because we are here to ensure that everyone gets a chance to benefit from what we are doing here,” he said. 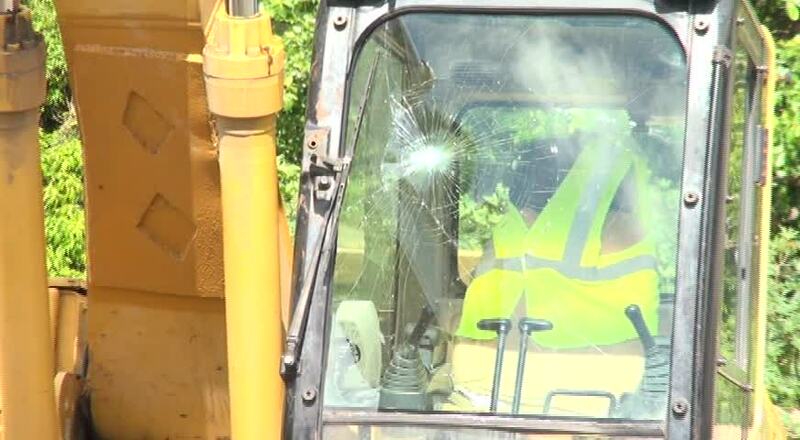 In the wake of the vandalism of the equipment, Mr. Jeffers stated that all necessary steps would be taken to beef up security at the quarry, in addition to a gate that was installed. “We are hoping that this does not happen again but we are going to try our best to put in place the necessary security measures. There is a gate at the main entrance and it’s a restricted area but for some reasons persons feel that they should still come in. “I want you to understand, as the general public on Nevis, that we are not in the business to interfere with anyone we are here to do what we are being mandated to do as a government and as a corporation and that is to provide the necessary products that we believe are important to the development of this island,” he said. The Minister said the quarry had provided employment for many residents over the last year and the public should be mindful of that. “I also want to say that we have sought, here at the Government Quarry, to provide employment for persons to operate these equipment. Truck operators and equipment owners also have had a chance to make some money here that they never did over those six and a half years when this was managed by the previous foreign entity that was here. So we have sought to include as many persons as possible, who are now gainfully employed here and who are now making some money out of this quarry. “It is an entity that I believe has tremendous potential. As a matter of fact I must say some of the persons who now make a dollar at the quarry, never had a chance to, over those six years. Their equipment was packed up; couldn’t be licensed; couldn’t be insured and of course once they had damages or breakdowns, they couldn’t have found the resources to replace parts,” he said.